Lowel scandles: Studio lighting | Digital photography. 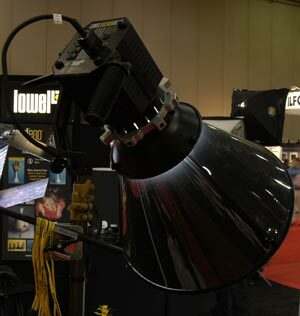 Lowel-Light, the arch-traditional manufacturer of tungsten hot lamps (Lowel DP, Lowel Rifa), has recognized the new need for fluorescent lighting for digital photography. Flicker-free fluorescent lighting can easily be gray-balanced for today's new generation of digital studio cameras. We have seen the new array of fluorescent lighting from Lowel and will compare them with Balcar and Videssence. Videssence is the older traditional lighting for TV studios around the world. We found this kind of TV studio ceiling lighting too clunky to use for still photography. Balcar is the sophisticated French lighting for the same purposes. Balcar was imported to the US market by Calumet. This fizzled already by 2011-2012. There is no more Calumet any more (tough to compete with B+H and then Amazon), and Balcar seems to have evaporated before that. Calumet filed for bankruptcy in 2014. Fortunately Lowel is still healthy (including being owned and operated through Tiffen). And F.J. Westcott is also still healthy (and still independent). Westcott Spiderlite fluorescent light system is easier to use and better for photography of art, archaeology artifacts, flowers, and animals than either Videssence or Balcar. If you need significant wattage, then Lowel offers plenty of nice options for tungsten halogen (see our last paragraph on this page). Are Scandles still available from Lowel? Scandles were original designed by Gary Regester (many years ago). Lowel acquired and then adapted them. But for one or two years (circa 2013) it was unsure whether they would be continued; this is why FLAAR did not evaluate them. Now (2016), I see Scandles still on the Lowel portion of the Tiffen web site, so this suggests they are still available. As soon as we can obtain a set (we normally evaluate with a group of four lights (two at the front; two from the back-side angle). But at least we need a minimum of two before we can evaluate them). 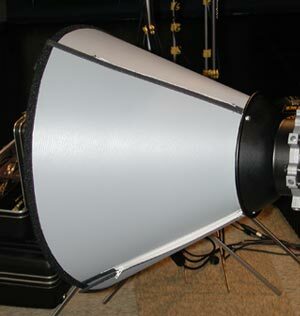 Most reviews for studio lighting equipment are for portrait photography. We at FLAAR Reports (photographers Dr Nicholas Hellmuth, Sofia Monzon, and our team of assistants) do innovative applications (which are not often reviewed on the Internet nor in magazines). We have experience in photographing flowers, insects, scorpions, spiders, jaguars, toucans, and macaws. Plus we have been photographing cultural heritage (Maya, Olmec, Teotihuacan) art in museums around the world for many decades. 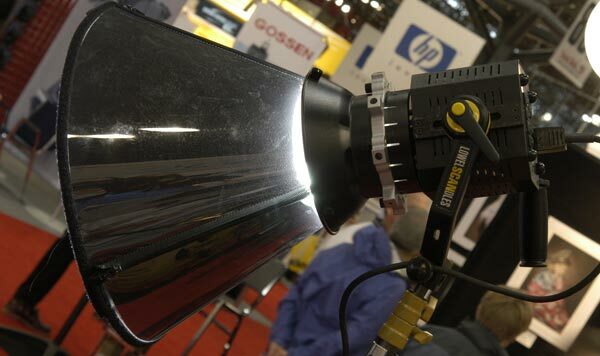 So we know what equipment works, such as Lowel Tota-lights, Lowel Rifa, and FJ Westcott TD5 fluorescent lights. But to photograph flowers a tungsten halogen lamp will wilt the flower. An ocelot would not be very happy if we use tungsten halogen or even a strobe (but we can do close-up photography of the head of a jaguarundi or ocelot with a Metz ring light without problems). Here are the FLAAR Reports on Westcott fluorescent lighting (we also have many web pages on Lowel lights and reports on Lowel tungsten lighting). But today fluorescent lighting is what people ask us about, so we hope to review the Lowel Scandles. There are many kinds of Lowel Lighting in addition to that we are able to picture here. To get additional information, check their new http://lowel.tiffen.com/primeLocation/ web site. FLAAR has used Lowel Lighting for over 44 years and those fixtures are still working just fine. That's why we recommend this brand. They are nicely designed. As soon as we can receive a set of Lowel Scandles to evaluate, we will produce our review both on this page and in a PDF format for easy download. Most recently updated January 29, 2016. First posted Feb. 25, 1999. Updated Aug 12, 2005 and Feb. 27, 2006.